This extends a steep decline from 4.7% in Q1 to 3.5% in Q2. 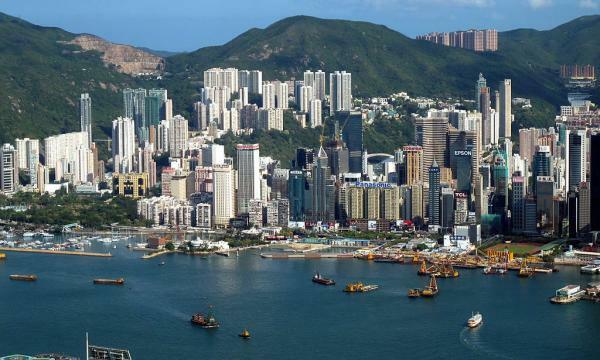 Hong Kong’s economic growth continued to weaken to 2.9% in Q3 from 3.5% in the previous quarter as the deepening conflicts between the US and China hammered trade and investment activities hard, according to a government statement. Consumption expenditure were largely behind the quarterly GDP gains after private consumption levels rose by 5.2% in Q3 on the back of favourable job and income conditions. Overall investment expenditure also rose sharply by 8.2% as machinery and equipment acquisition surged. The sustainability of the above-trend GDP growth, however, is increasingly clouded by escalating tensions between the two global economic superpowers. “The impacts on Hong Kong’s external trade have begun to surface, and are likely to become more apparent in the near term. The further tightening of financial conditions across advanced economies, particularly in the US, is another risk factor,” the government said in a statement. Consumption may soon falter in light of deepening external uncertainties and weaker stock markets which are already down 20% from its January peak. “The performance of the Hang Seng Index has a strong positive correlation of approximately 0.6 with Hong Kong’s private consumption growth over the past three decades,” Fitch Ratings said in an earlier report. In fact, the retail sector rebound increasingly appears to have been short-lived after monthly retail sales inched up 2.4% to $36.6b in September to book its slowest pace of growth in 15 months, according to the Census & Statistics department. "The trend on Hong Kong stocks remains bearish, and in our view, this poses downside risks to consumption growth over the coming quarters," added Fitch Solutions. The government expects economic growth for the full year at 3.2% which is still within the range forecast of 3-4%.